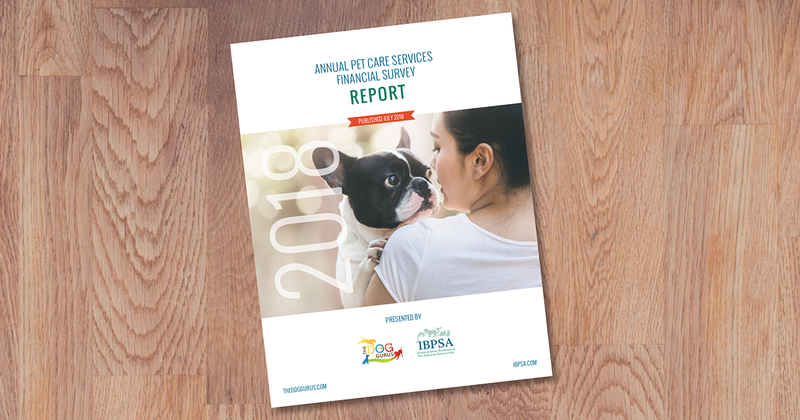 2018 Annual Pet Care Services Financial Survey Report now available for purchase! As million dollar deals and billion dollar statistics steal the pet care services industry financial headlines today, the Annual Pet Care Services Financial Survey, now in its fourth year, offers practical, real-world numbers and insight for pet care services providers. This past spring, IBPSA, in conjunction with The Dog Gurus, commissioned the survey of pet care services business owners based on their 2017 financials. What did the analysis of financial data provided by 279 pet care services providers reveal? What did your industry colleagues report? How much are they making? How much are they spending? How do they compare to your financials? Where is the industry headed? Get all the answers you need to know in this seminal report. The 2018 Annual Pet Care Services Financial Survey Report is conveniently available for purchase and download. Just follow the links, below. Not an IBPSA Member and want to enjoy special member pricing? Why not join us now! Log into your IBPSA Member dashboard to purchase the report at your special discounted Member rate. Not an IBPSA Member? Join now to save on your survey purchase AND enjoy all the benefits of being an IBPSA Member. Not ready to join? No problem! Click link, below, to purchase. Not ready to purchase? Why not download the Executive Summary for FREE? Not ready to purchase the entire report? See what’s in store by downloading a complimentary Executive Summary of the 2018 Annual Pet Care Services Financial Survey (PDF), simply submit your name and email address. We may follow up with you with additional IBPSA information but you can unsubscribe from future emails at any time.